Still Waiting On Your Nursing Home Injury Settlement? Pre Settlement Funding For Nursing Home Lawsuit Settlements Now Available! Very few families look forward to the time when they must put an elderly loved one in a nursing home. Unfortunately, however, it’s often impractical to try and provide care at home. Especially when the elderly relative has medical problems requiring some level of medical training to treat. It’s during these difficult times that we turn to nursing homes to both shelter and care for our loved ones. It’s not unreasonable to expect that the treatment your loved one gets in a nursing home will not only be competent but will be kind, considerate, and respectful. Unfortunately, that expectation is out of whack with what’s really going on. A study of 2,000 nursing home residents, conducted by the National Center of Elder Abuse, found that 95% of the residents surveyed had experienced neglect or witnessed another resident suffering neglect and 44% reported being abused. Even residents who have frequent visits from relatives can be mistreated without their loved ones picking up on the subtle signs. A broken bone could be due to an accident or a more shameful cause. Torn clothing could be a sign of abuse or could simply be the result of an innocent mishap. Even worse, some forms of elderly abuse leave no physical trace behind, such as when the staff mocks the patients, humiliates them, ignores them or isolates them. If you suspect nursing home staff or another resident is abusing your loved one, contact Pravati Capital today. We have developed a network of qualified, experienced attorneys who can help you fight the nursing home and make it a better environment for all residents. 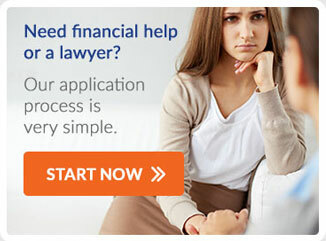 We understand that finding the right attorney is just part of what you need right now. You may also need financial assistance to move your loved one into a safer environment before your settlement comes through. Pravati Capital can assist with this by providing legal financing that takes away much of the financial pressure facing you during the trial or settlement negotiation. Pravati, helping those who need pre settlement funding on their nursing home lawsuit settlements. If you experienced a Nursing Home Injury, contact Pravati Legal Funding today.